First Ark came to us with the goal of promoting a successful digital workplace throughout periods of change and growth. The organisation required an intranet that would provide a vehicle for communication – a primary source of information and knowledge for employees. First Ark had an intranet in place when they came to us, but after five years, their needs had changed. They needed an experienced partner to take their requirements and deliver an intranet that goes above and beyond; offering technical excellence, innovation and real value for money. In order to deliver powerful functionality in a cost-effective package, we implemented our affordable intranet platform, Hivetalk for the commission. The out-of-the-box nature of Hivetalk allowed us to get First Ark’s intranet up and running quickly, with a range of features perfectly suited to the organisation’s objectives. First Ark’s main requirement was for the intranet to be powered by WordPress, allowing the team to introduce new functionality easily with no supplier tie-in. 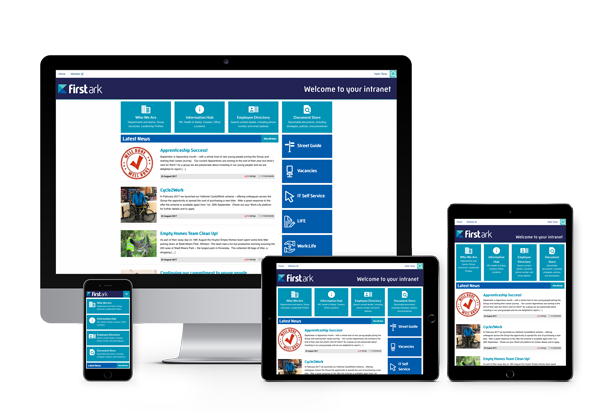 The finalised intranet is clean and accessible, with low maintenance overheads – efficiently serving First Ark’s needs and offering added value. The rich branding capabilities of Hivetalk enabled us to communicate First Ark’s mission and values to all employees, helping to create a more cohesive, successful communication channel. During the project’s card sort workshop, we developed a clear and accessible platform supported by a contemporary user interface that optimises key journeys, with user-friendly navigation enabling the site to maximise engagement. 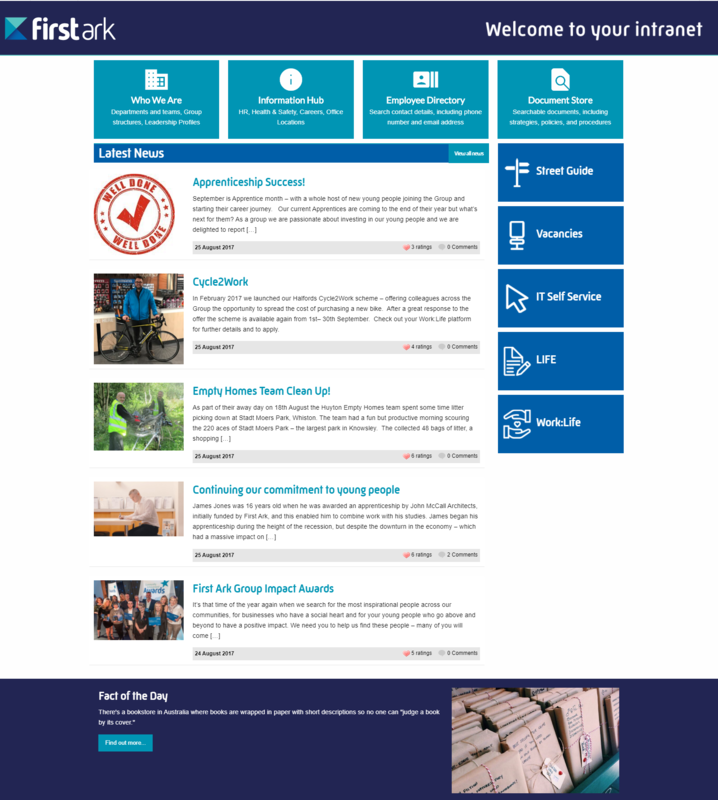 The intranet’s dynamic homepage allows staff to react in real time to news and events happening in the organisation. This level of flexibility is maximised through a set of flexible templates housed within the back end of WordPress. 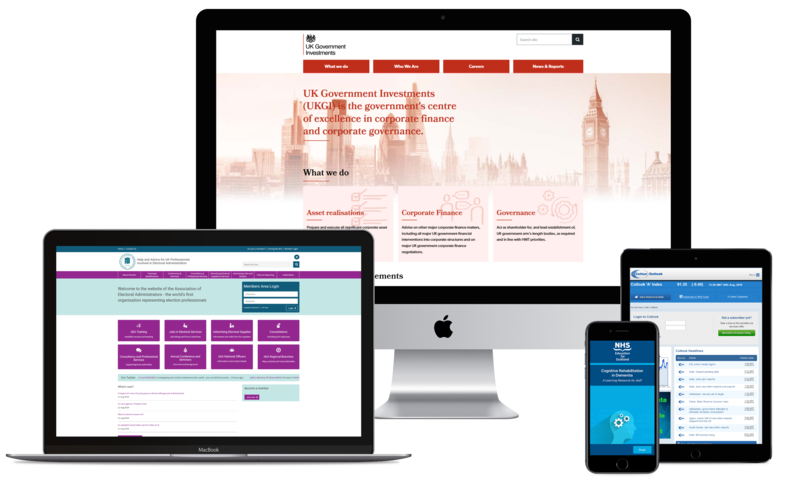 With a responsive design, staff can access the intranet from any device, at any time. We developed a bespoke Street Guide for First Ark with a searchable listing of addresses tied to user profiles. 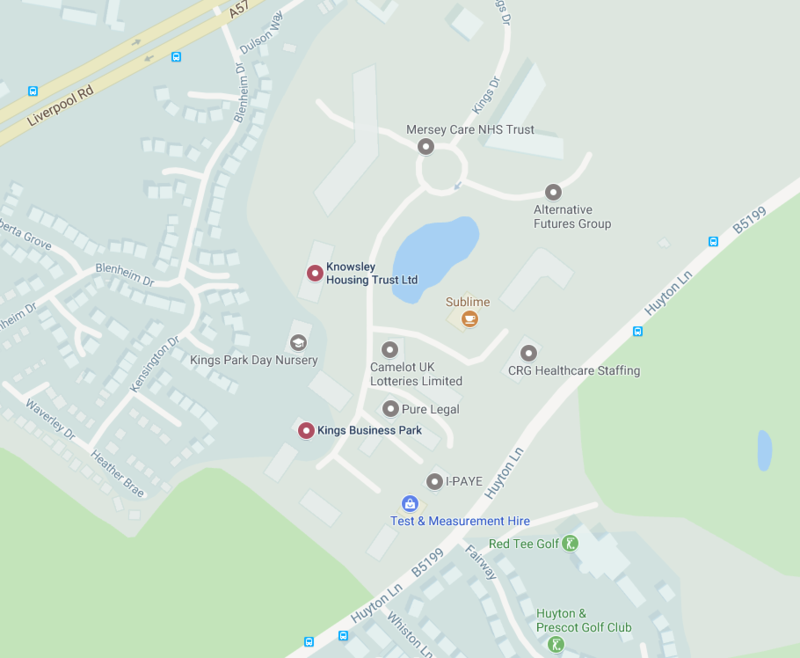 Clicking on a street takes the user to a page where they can view the contact details for the employees assigned to that address. Approved users can edit the streets that they are responsible for. First Ark’s vision for the intranet was an easy-to-access focal point for all information requirements, with powerful search functionality enabling employees to find what they need quickly. The organisation has a raft of important documents which employees need quick access to, so we implemented a speedy, searchable document store with filters (such as category and date) and a feed to display the latest documents. 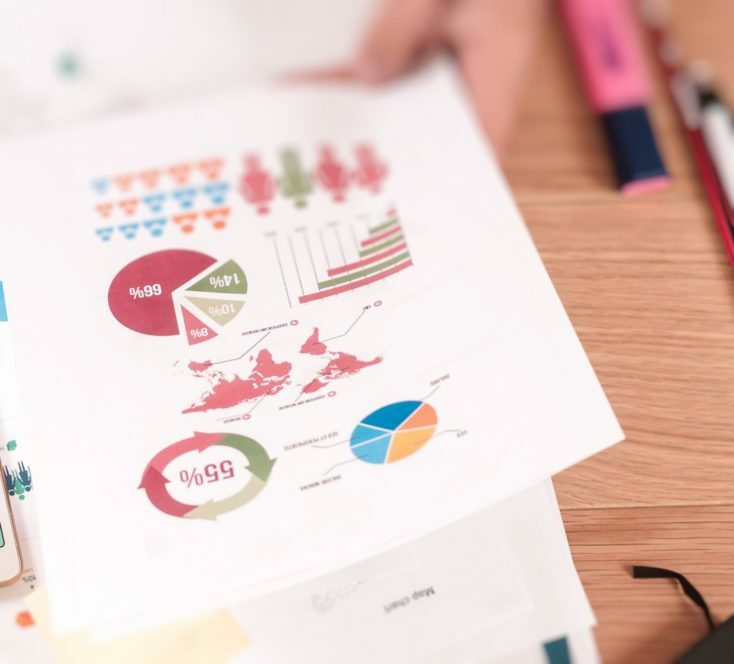 Downloads are supported by analytics, allowing staff to identify which documents are downloaded the most. The final product is a friendly and engaging environment for staff to share knowledge and collaborate. In a short space of time, we designed, built and delivered a digital one-stop-shop for First Ark. The platform delivers on our promise of improved navigation, forward-thinking design and enhanced functionality. The intranet acts as a central tool for staff, providing clarity and fielding questions and feedback from across the organisation. Since launch, First Ark has been taking full advantage of Hivetalk to improve internal collaboration, with staff spending an average of 2 hours per day on the intranet. We work with ambitious organisations looking to innovate in their industry by implementing cutting edge technology.